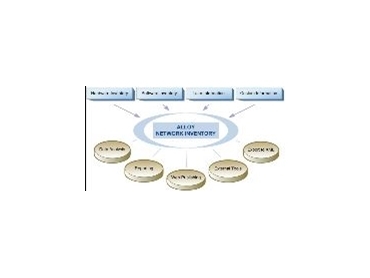 ALLOY Network Inventory is a comprehensive network inventory solution for automatic audit and flexible analysis of the detailed hardware and software information from all the computers on a network. Available from Asmarina , this budget-friendly and easy-to-deploy audit solution provides accurate and up-to-date information, all in a matter of minutes. Alloy Network Inventory's audit agent is flexible and easy to configure and can be quickly deployed. Regularly scheduled audits will provide a complete, in-depth inventory of the entire network on an ongoing basis. Using the On-Demand Audit feature, an immediate audit can be requested of any or all remote workstations by their computer name, IP address, or a range of IP addresses at any time. * Establish tight control over the entire PC inventory. * Plan effectively for OS migrations and application upgrades. * Set realistic timelines for hardware upgrades. * Achieve more strategic goals. * Manage organizational changes proactively. * Streamline inventory reporting and publishing. * Simplify troubleshooting with remote administration.